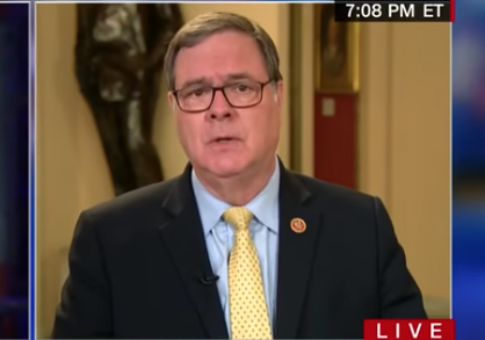 Rep. Denny Heck (D., Wash.) on Monday attempted to downplay Special Counsel Robert Mueller's findings stating the Trump campaign didn't collude with Russia by saying it's "just a headline." "So when you say though that you stand by the walls closing in, has your committee found anything Mueller didn't?" CNN's OutFront host Erin Burnett said. "Mueller obviously found no collusion with Russia. That's the bottom line. It's very hard to beat around that headline." Heck avoided directly answering Burnett's question and responded by downplaying Mueller's findings, saying it was "just a headline." He went on to say he would be willing to accept Mueller's conclusion if he was able to read the full report. "What we got was a four-page distillation by a political appointee of the president," said Heck, referring to Attorney General William Barr.